Since the visual capabilities of Gist are one of the most important aspects to the overall platform, this latest dataset is, perhaps, one of the most fun to check out! To demonstrate the numerous storytelling possibilities that Gist's ergonomic layout and design offers, our team decided to present the survey information in several interactive ways. 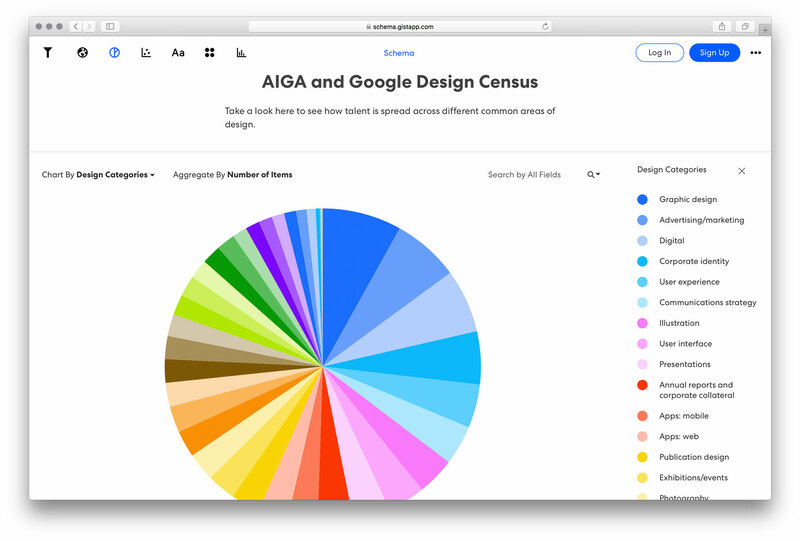 A basic pie-chart represents the designers’ geographical locations. Visitors are able to shift the focus of the information by, among many options, city, state, years in the graphic design field, organization represented, and their seniority within that team. Visitors may also aggregate the survey information by the designers’ age, hours on the job, life-work balance, and compensation. Using Gist's easily-accessible and color-coded displays, visitors quickly discover that New York remains the most concentrated geographical area in the U.S. for design work and by a large margin; cradles of business and start-up ventures, San Francisco, Chicago, and Seattle come up behind, but still beat out all other areas. Design jobs appear more specialized to specific regions across the U.S. 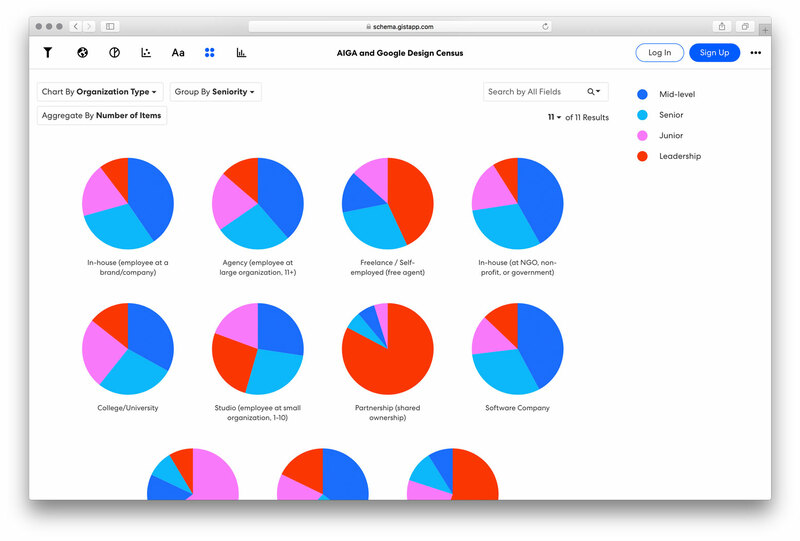 This example opens up possibilities for potential users of Gist, quickly demonstrating the research capabilities for businesses, recruiters, students currently considering a job in the graphic design field, and all other individuals requiring that information in a fast, beautifully-structured interface. And using Gist, data-sets like this one become effortless to share.